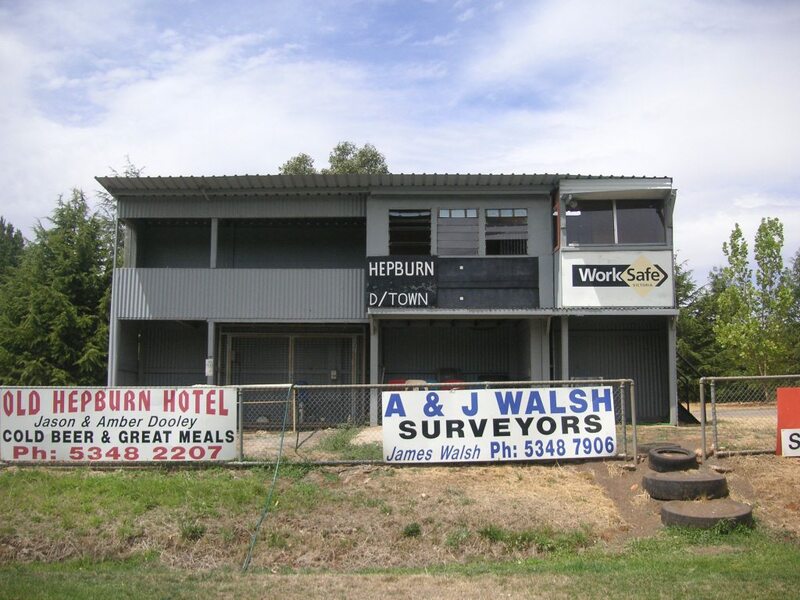 The little that I knew of the Hepburn ground when I first visited with my son Jesse in July 2010 was that there had been a big a pre-match blue here about ten years ago. 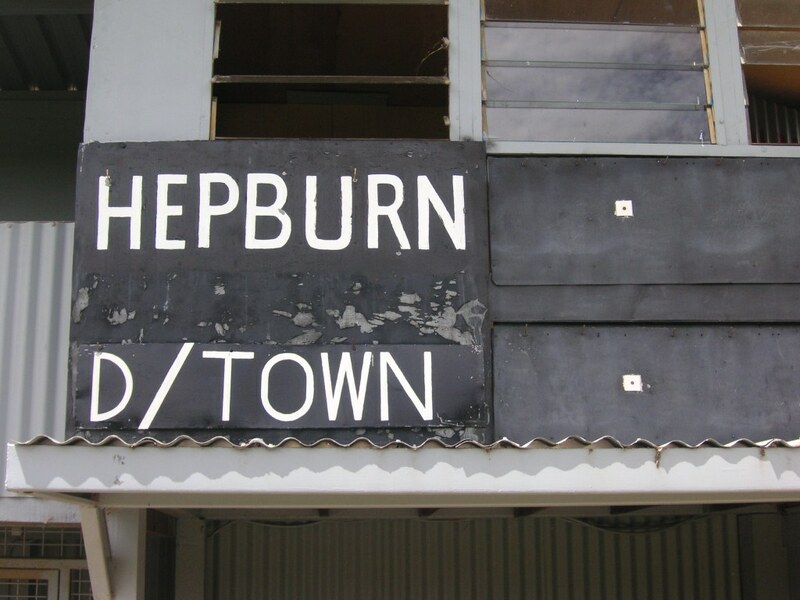 The Central Highlands saga sounded like a footy version of The Slap: during the pre-match warm-up of a game against Dunnstown in April 2000 a Dunnstown player separates two boys fighting behind the Hepburn clubrooms. One of the boys tells his dad, a Hepburn player. The home-team player takes umbrage with the Dunnstown visitor. A brawl erupts: the game is called off before the first whistle, Dunnstown players end up in hospital, Hepburn is banned for three years, the ban is later modified to fines. But all is calm ten years later on a Wednesday afternoon. 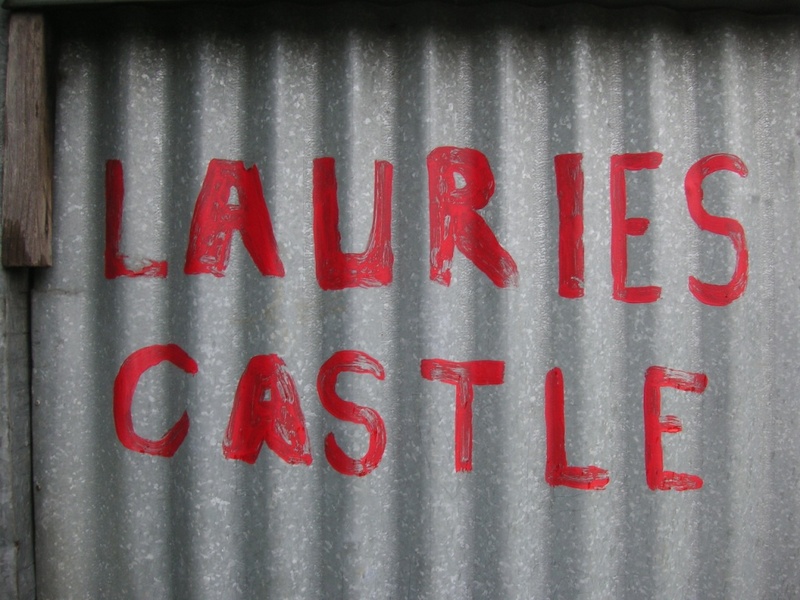 I’m looking at red paint on a locked corrugated door at the top of steel steps, red paint that says LAURIES CASTLE. I stand in front of the castle on the wing, by the four tyres that serve as steps onto the ground, and look across the oval. I imagine the umpire raising the ball aloft. I see the whistle placed in his lips, I hear the blare of the siren. I see the ruckman jump. I see players run and jostle, kick and mark and handball and run some more. I see the ball on the forward line. I hear players huffing and puffing and calling. Someone kicks a goal. The goal umpires wave their flags. Car horns toot. Then I look behind me, at the castle, and see a club official – maybe King Laurie himself – leaning out from his turret and changing the numbers. These paragraphs are from my story A Beautiful Set of Numbers, recently published in Footy Town, Stories of Australia’s Game. Scoreboard Pressure’s co-founder, Les Everett, also has a piece in Footy Town, called Golden Days, about Goldfields teams such Boulder City, Mines, Kalgoorlie City, Mines Rovers and Railways First Rate. This season Tim is playing for Waubra in the Central Highlands league. You can read all of Tim Boyle’s Footy Town launch on The Footy Almanac website.